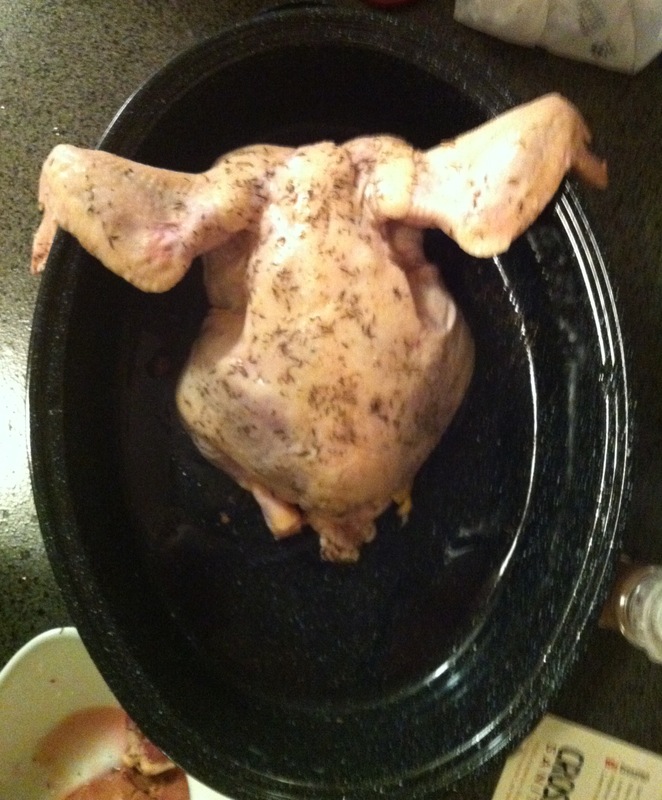 I’ve always been intimidated by cooking a whole bird. Thanksgiving turkeys were always passed off to someone else to make, chicken was solely cooked in breast or thigh form. I just found it intimidating. But tonight, I decided to tackle a chicken because I wanted something easy besides just grilled chicken, which has been by go to for the past couple busy weeks. So I brought home my chicken, slathered on some grass fed butter, gave it a good rub down with some salt, pepper and thyme as it relaxed in the pan. I made sure to rub some on it’s inside too, didn’t wanna neglect any areas. I took out the liver, chopped it up and mixed it in with some chopped up sweet potato, onions and carrots that I piled up on the bottom of the pan. Next I covered everything with some chicken broth and stuck it in the oven at 350 degrees. It’s usually about 20 minutes per pound. I took mine out at about an hour and 45 minutes and it was perfectly juicy. It turned out to be not quite as scary as I thought it would be, super easy (I was even able to get some work done while it cooked), and super delicious to have some juicy chicken and vegetables. I guess now I’ll have to try some more complicated recipes in the future to share! 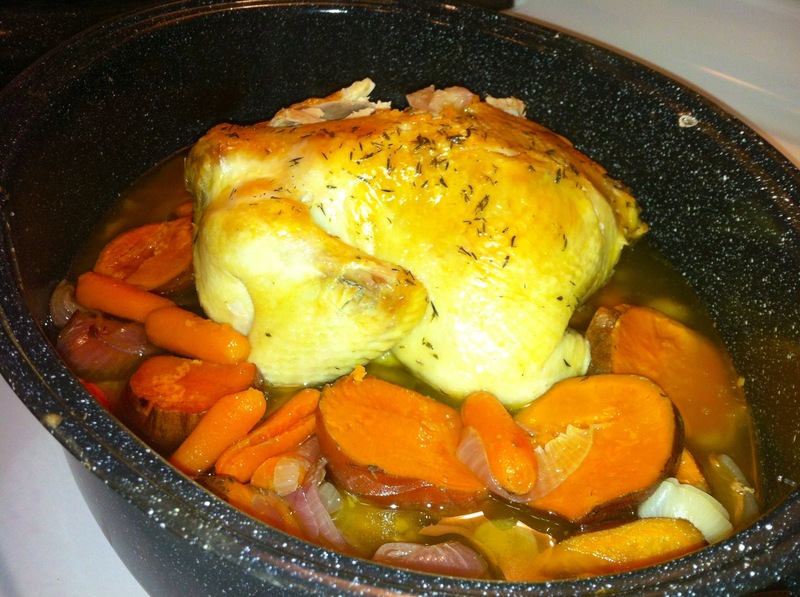 This entry was posted in Paleo, Recipe and tagged diet, Healthy, Paleo by fionaboger. Bookmark the permalink.